The City of Grove City, Jackson Township and the Franklin County Engineer’s Office have been tentatively approved for funding from the Ohio Public Works Commission to support improvements to a nearly two-mile section of Borror Road from Quail Creek Boulevard to SR 104. 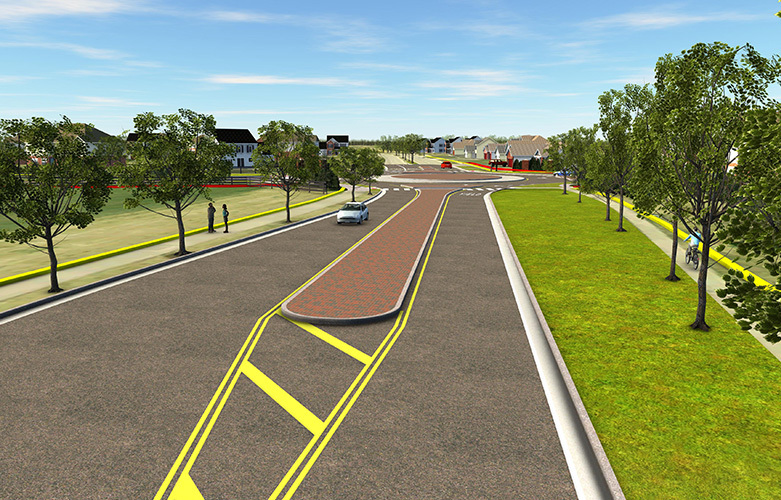 The project includes widening the road to 32 feet, a single-lane roundabout at the intersection of Buckeye Parkway, a multi-use path for pedestrian and bicycle access to the Metro Park, street lighting, water main extension and updates to the storm water system. View the Borror Road Improvements animation. Construction should begin in March 2019.